I mentioned earlier this week that it’s possible to avoid a bad car loan when shopping for a car. Today I want to share how you can use ISeeCars to find a reliable used car within your budget. Good Gas Mileage: Gasoline can become a huge monthly expense if you don’t shop wisely. Take a moment to shift through to see which cars give you great gas mileage. Solid Reliability: Minimize the chances of having to take your car into the shop constantly by only shopping car models with history of reliability. I shared some of Consumer Reports’ top picks on reliable used cars here. Cheap (in Price) Parts: I learned from experience that not all car parts are equal. When you take your car to the shop to get repaired, the cost of replacing bad or worn parts can vary significantly based on the car you drive. You’re on a fixed budget, check with local shops and online to get an idea of what a typical repairs would cost you. 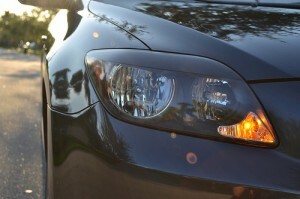 Now that you have an idea of what you’re looking for, now it’s time to scour your area for a car. When we were hunting for our family sedan last year we looked at both private sellers and local dealerships. Take your time and whittle down the list based on the previously mentioned criteria and your personal preference. Once you have an idea of what price range cars are selling for, you can determine of the seller is being reasonable or not. If they are too high, you can use the data you gathered from your searches to negotiate with them on getting a competitive price. Don’t forget to also check out the car on CarFax to make sure everything looked in order in the car’s history. You don’t want buy a lemon. This advice applies to both dealerships and private sellers. We had a car salesman lower his price by almost $2k (still was too expensive). It takes a just a bit of legwork, but doing your research ahead of time will save you money in the short term and over the life of your next car. I’d love to hear your thoughts. How many of you are thinking of a buying a car in the near future? What features are you looking for in your next vehicle? Elle, Great post. I am actually in the market to look for a new car and can’t wait to check it out! Glad this post was helpful. Please let me know how your car hunt goes!